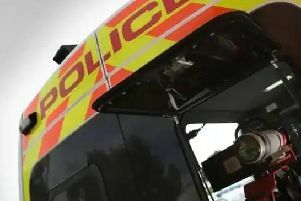 A Worksop man faced his fourth drink driving charge after his friend bought him full-strength drinks while he tried to stick to low-alcohol lager, a court heard. Mark Woodhouse’s Ford Focus was stopped near his home on Prince Charles Road, after he was spotted swerving by police at midnight, on February 18. A breath test revealed he had 88 microgrammes of alcohol in 100 millilitres of breath when the legal limit is 35. The court heard he had previous convictions for drink driving in September 2007, and two from August 2009. Mark Little, mitigating, said Woodhouse, who has learning difficulties and mental health problems, had been out at a social club with a friend. He bought the car two days before and had been waiting for Employment Support Allowance to pay for the insurance. He also suffered from diabetes and angina, said Mr Little, but had recently decided to volunteer for the British Heart Foundation. Mark Woodhouse, 50, admitted driving with excess alcohol and without insurance when he appeared at Mansfield Magistrates Court on Wednesday. Lucy Harrison, of the probation service, said he was a vulnerable individual who would be prone to bullying if sent to prison. He was given an 18 week prison sentence, suspended for one year, with 15 days of rehabilitation. He was banned for 46 months. He was ordered to pay £85 costs and a £115 victim surcharge.